The Tourist Office shop sells a range of souvenirs as well as guides for exploring our region. 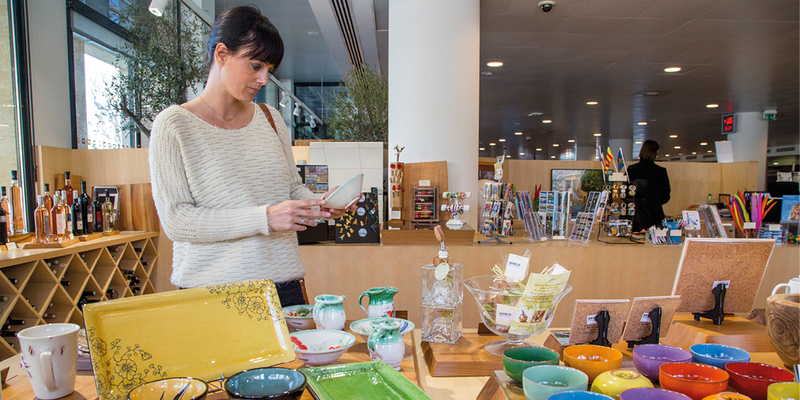 Local products, such as calissons, tapenades, etc., maps of the town and region, books on art in Aix en Provence, tee-shirts and jewellery souvenirs are the most popular items with visitors.. The Aix Region Shop (Le Comptoir du Pays d'Aix in french) is on your right as you enter the Tourist Office lobby.